I saw that as an encouraging sign. There has been definite contention between many in the Two-House/Messianic Israel/Ephraim movement and those in the Messianic Jewish movement. This is evident on most messianic blogs out there, especially Messianic Jewish Musings and The Daily Minyan. This has also been seen in controversies over Messianic Jewish musicians canceling appearances at a Messianic Israel Alliance conference, or in sometimes vehement responses to First Fruits of Zion’s change to Divine Invitation (meaning Gentiles are not obligated to keep all aspects of the Torah, but are invited to do so). A lot of angry words have flown both ways, in some cases on this blog itself. So what’s the path to lowering the anger level and helping the MCC’s goal along? To explore that, I posed four questions through email to leaders on both sides of the debate. However, response has been practically nil. That probably shouldn’t surprise me, since I may not appear to be the most trustworthy blogger for this type of thing; I land pretty firmly on the messianic Jewish side of things and have put up posts that received fairly harsh responses from Messianic Israel folks. But, I’m going to ask the questions anyway. Maybe whatever people read this blog will feel led to respond. What do the various movements within Messianic Israel and Messianic Judaism need to agree on in order to be at peace and in good fellowship with each other? What can we agree to disagree about? In other words, what’s not essential? What “terms” should be excluded from discussion that are offensive to each side or are considered inaccurate? In what venues could we come together with mutual respect and not feel as if we were violating our consciences or contradicting ourselves? If you do respond, please keep it civil and constructive. Before I respond to the 4 questions, I have my own question. Why were all other Believers in Messiah Yeshua and the G-D of Israel left out? Now, Question 1: Nothing except “Who is your G-D?”, if the people are reasonaby mature and not self-righteous. Question 2: Everything except “Who is your G-D?” if the people are reasonably mature and not self-righteous. Question 3: None need be excluded if the people are reasonably mature and not self-righteous. Question 4: I am not sure I know what that means, but it appears the answer is that all are ok if the people are reasonably mature and not self-fighteous. Answer to your question: We were trying to address the distance between Messianic Judaism and Messianic Israel in particular. It helps to keep your focus narrow sometimes. Once you get one question answered, then you can go on to another instead of trying to solve everything in one fell swoop. 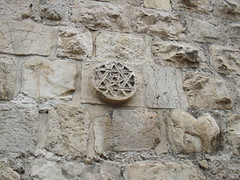 “Messianic Israel” is unique, in as much as it was from the beginning set up specifically to be in opposition to and with resentment for the Messianic Jewish Movement, which MI viewed as too exclusive and Jewish-centric (“racist”/ “Gentiles are second class”), too rabbinic (a.k.a. “man-made”), etc.